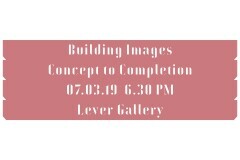 This panel is an opportunity to hear from shortlisted and winning architectural photographers, alongside architects, 3D CGI artists and creative directors on the evolution of architectural image making from concept to completion, and the increasing importance of photographic methods throughout. Canapes and drinks served from 6:30pm, talk begins at 7pm. From the micro details of 3D scanned building materials used to texture hyper-real architectural renderings, to the macro view of architecture neatly enveloped in an Instagram hashtag #architecturephotography and experienced virtually across the globe, photographic techniques are informing both, our methods of designing future worlds, and the way we document and communicate completed architecture. Winner of The Architectural Photography Awards 2018, Pawel Paniczko, alongside the shortlisted architectural photographers Laurian Ghinitoiu (Architectural Photography Awards 2018) and Martine Hamilton Knight (Architectural Photography Awards 2017), each presenting recent works and insights into their developing industry. Jon Fielding (Global Creative Director, Benoy) will bring to the panel his experience of commissioning both 3D architectural renderings and architectural photography as part of Benoys’ global communication strategy. While, Architect Steve Chilton will share his unique approach to producing CGI imagery inspired by photographic moments; capturing intimacies, selfies and even a buildings’ daily cleaning routine. Fabrice Bourrelly from Epic Games will elaborate on the photographic capabilities growing within game development softwares such as Unreal, and the possibilities of implementing these into a design workflow. -When anyone with an iPhone thinks they are photographers, what are the implications for the real thing? -How has the development and accessibility of software’s such as Unreal, Unity or even Instagram influenced the style, look and feel of architectural image making? -Is atmosphere and effect more important than form and structure in the ways we communicate or even design architecture? -Are attitudes toward classical imperfections like rain drops on the lens, leaves on the street or poorly placed residents, changing across photography and rendering?